The British found the gentle undulating slopes ideal for growing tea and the pleasant climate in the hills made Ooty the natural choice of residence in the scorching summer months. In 1827, Ooty was declared the summer capital of Madras presidency. 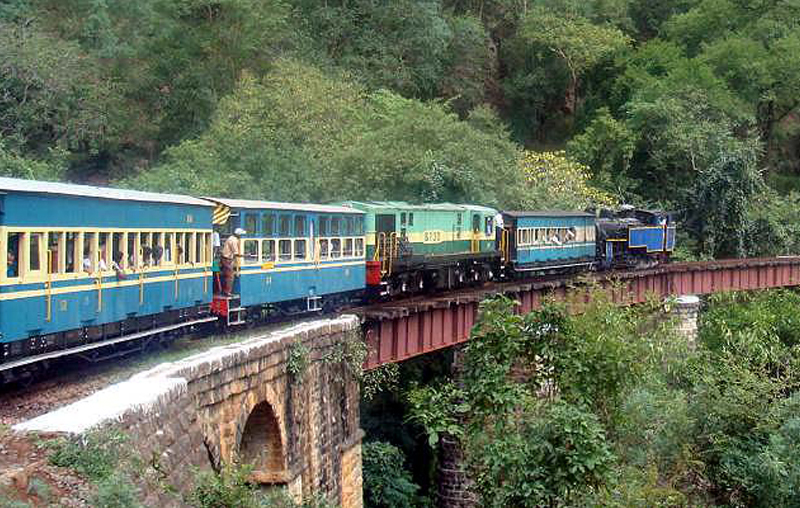 In 1899 the Nilgiris Mountain Railway was completed to ease the journey to the hills and back. It still remains a tourist attraction and a journey through the tea gardens at its gentle pace is a must for every traveller with an eye for beauty. Today, the Nilgiris remain a major centre for tea production and tourism. The gentle rolling hills, so reminiscent of the Downs of England, are a sea of green tea bushes, dotted with the red of poinsettias in the winter and the lilac of jacaranda in the summer. 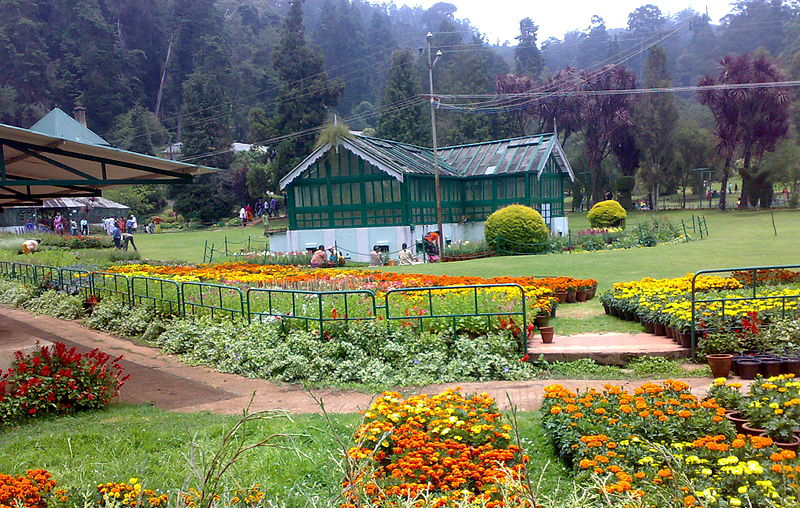 The Nilgiris district in Tamil Nadu, where Oland Plantation is located, enjoys a pleasant climate right through the year – between 10-25 C or 50-75 F. There are two periods of rainfall – from the north-east monsoon in July and from the south-west monsoon between November and January. The waterfalls at Oland Plantation burgeon from streams to big, gushing torrents during the rainy season and add to the charm and natural beauty of the surroundings. Enjoy the sound of the water with a cup of hot chai! While on the one hand, the Nilgiris abound in picture postcard cottages and tea gardens, golf courses, clubs and the charm of the British empire, there is an untamed Nilgiris as well – to marvel at and enjoy. 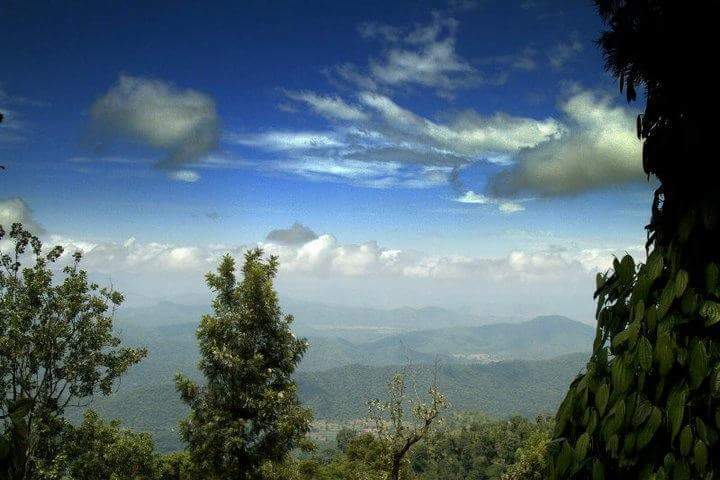 For the nature enthusiast, the Nilgiris biosphere is a treasure trove – to be savoured time and again – each visit yielding something new and exciting. O’land Plantation sits at the very edge of the Nilgiris biosphere: the last bit of cultivated land before nature takes over. The fact that we only practice organic cultivation can only go down well with the many species endemic to the area – some of them on the brink of extinction. The Mudumalai tiger sanctuary and forest reserve and the Masinagudi Reserve are home to the endangered Indian elephant, vulnerable gaur and chital, the NilgirisTahr , the sloth bear and the tiger and leopard. There are over 266 species of birds in this area – with the Indian white rumped vulture ad the long billed vulture threatened with extinction. Rare birds such as the Great Indian Hornbill are regularly sighted at Oland Plantation as are the widely seen blue throated flycatcher, the scarlet Minivet, the drongo and many other species.